I seem to taste a lot of Chilean wines these days. This is not too surprising, because the shops are full of them. They’re reliable too. 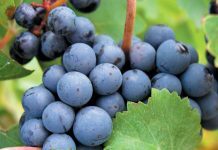 I have tasted many bargains from the Languedoc-Roussillon region of Southern France, normally the source of some excellent wines. However, one or two of them have been pretty dismal offerings and have ended their sad days going down the kitchen sink. But I haven’t had a single dud wine from Chile – at least, not as far as I know. Perhaps they just take greater care over their wines. By the way, if you find that a wine isn’t much good, don’t assume that you can cook with it. If a wine tastes awful, it will probably impart its awfulness to the food. I know this sounds obvious, but you’d be surprised how often I hear people say that they’ll use a duff wine for cooking, perhaps in the vague hope that heating it up will somehow make it taste better. Chilean winemakers have developed a distinctive style for their Cabernet Sauvignon. It is usually an easy-drinking wine with soft tannins and with aromas of smoky black currants, olives and often a dash of mint. There are some exceptional ones around. I find Chile’s Chardonnays tend to be less distinctive, but invariably good value. Chilcas wines are made from the company’s vineyards in the top Chilean wine areas with an emphasis on the Maule Valley. The company makes a wide range of high quality wines, but as the name “Premium” oddly implies, both these are pretty basic. At this knock-down price though, they’re well worth considering. And just in case you’re wondering, the word “chilcas” is the Quechua name for a small colourful plant that grows on the foothills of the Andes. I bet you didn’t know that. And to be honest, neither did I until yesterday. 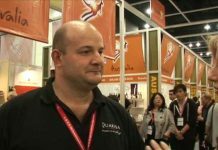 The Chief Winemaker at Chilcas is Camilo Viani, who studied at the University of Chile and who has more than eleven years of experience in important Chilean wineries including the famous Concha y Toro wine company. This wine is a light gold colour with very pronounced greenish hues. 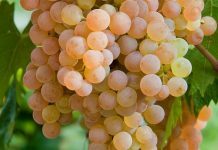 Made from hand-picked grapes in the Chilean Chardonnay style, there’s plenty of fruit on the aroma with peaches and melons to the fore and a touch of grassiness in the background. The wine is quite dry with a pleasantly soft mouth-feel and an attractive, slightly creamy texture with hints of oak and vanilla. It’s quite a light-bodied dry wine with a pleasing touch of fruity acidity and a very long, dry finish. It’s really quite an easy, undemanding drinker even though it is 13.5% alcohol content and the refreshing dash of acidity would make a good apéritif. Alternatively, you could try it with many chicken dishes, light curries or fish. Now I have to admit that this wine is not quite in same class as the splendid Concha y Toro wines that I reviewed a couple of weeks ago. But it is still a jolly good wine. It’s a dark red colour with a distinctive aroma of canned strawberries and cherries. The back label informs us that the wine was made from “selected Chilean grown Cabernet Sauvignon grapes”. Well, yes…and others. Chilean wine regulations stipulate (among other things) that wines for export must contain 85% of the varietal shown on the label. So we can safely assume that at least 85% of the grapes are Cabernet Sauvignon and the rest are probably Merlot. And does it matter? Well, no actually. Not at all. In any case, even the finest Bordeaux reds are made by blending Cabernet Sauvignon, Merlot and sometimes several other varieties. This medium-bodied wine has plenty of soft fruit on the taste; with very supple tannins which persist through the long finish. The wine has an attractive, slightly creamy texture and is really quite a pleasant and unassuming wine that you can knock back easily, but at 13.5% alcohol content you may prefer it with food. It would be fine with simple foods like barbecued meats, sausages, burgers or many cheese dishes. In this climate, it will probably taste its best served slightly cool at around 14° Celsius, which is about 57° in the old money.